Would you believe me if I told you there’s a dancing rat to thank for these cookies? True story. I’ve dreamed of bowing ballerinas since Christmas time, but I couldn’t quite get it right…until I met Angelina Ballerina. Technically she’s mouse, but that wasn’t immediately apparent to me. To make a long boring story short, Angelina led me to Google which in turn led to these. 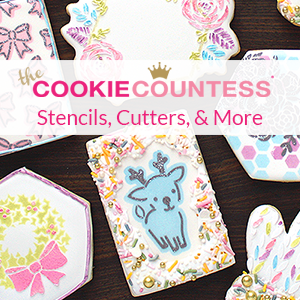 There are many cutters that will work for bowing ballerina cookies. A flower or sun makes a great tutu while a mini-skull, snowman, ladybug, ring or ornament can serve as a head. 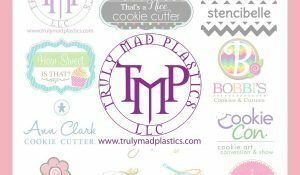 If you don’t have these particular cutters I encourage you to be creative and work with what you have on hand. Begin by outlining and flooding the “tutus”. Next, follow the steps below to create tiny ballerina faces. Use tiny tip to add eyes and rosettes. For a tutorial on swirl roses click here. Make sure both cookies are completely dry before moving on. When it’s time to attach the cookies use fleshtone 20-second icing to add arms plus an extra dot of icing to secure the head. When the head in in place use a #1.5 tip to pipe ruffles. Make sure the cookies are completely dry. 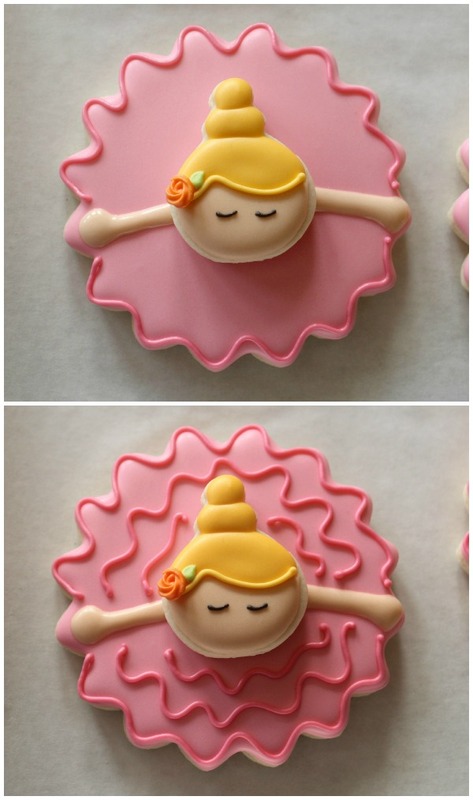 Bowing ballerinas look great with ballerina face cookies. I pieced mine but a ring or skull cutter would work well. Perfect timing for these! 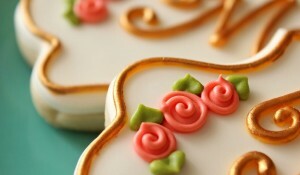 I am working on a set of cookies for a friend with a dance studio. These will be a great addition to the set. Thanks for sharing your creativity!! Miss Callye! The colors! And the little eyes! And her bun! And the flowers! And the rose in her hair! And the tutus! Loooooooooooove. Seriously! Callye… these are AMAZING!!!!!!!! Oh my God, I just died of cuteness overload!!!!!! I….just….have not the words. This might be my favorite cookie you’ve ever done, and I say that about you a lot but this….just blew me away. It’s so sweet and feminine. It makes me think I could be a dancer. An overweight, 30-something dancer, but a dancer nonetheless. Excellent job! 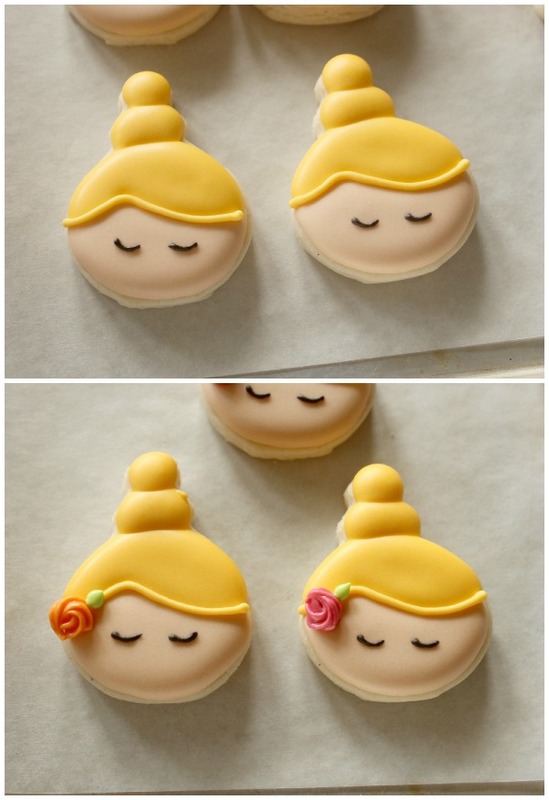 Very cute and pretty looking cookies. These are so pretty…I love the colors. You continue to amaze!! Ah, so brilliant! Your design skills blow my mind. When I first saw the picture of the bowing ballerinas, I thought they were sort of overhead views of the ballerinas mid-twirl. Either way…the cutest, smartest thing I’ve seen in a while! Again I say … YOU ARE A COOKIE NINJA! I love this idea.I do have a question, how do you charge for this cookie? Since it is technically two cookies do you charge for it as such or is it just the one? Hummmm…I’ve never sold them, so I haven’t really thought about it. It would probably depend on whether it was a favor or a platter. 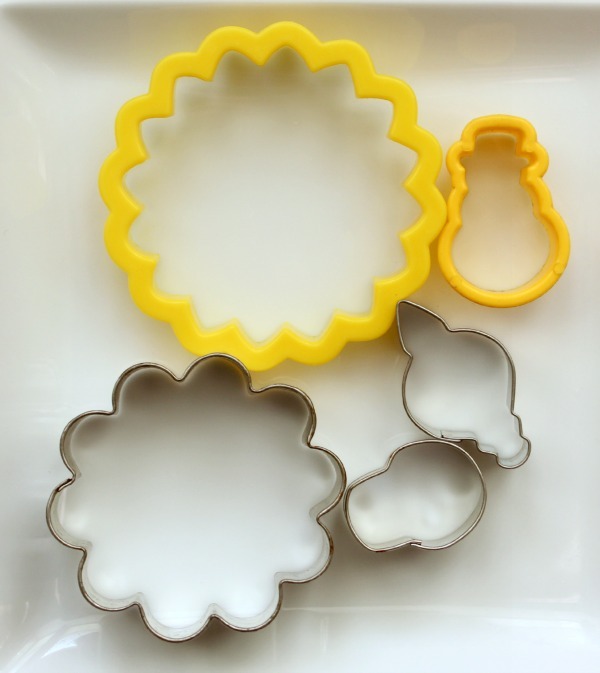 If it was a platter, I’d just mix with simpler designs, charge a flat rate and call it good. If it was a favor I’d call it elaborate and just measure with my chart. 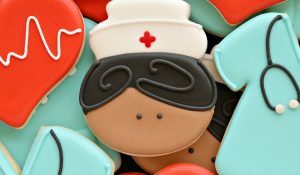 I actually gasped when I saw these cookies! I can’t tell you how much I LOVE THEM! I am just completely smitten, Callye! You’re TOPS in my book:) XO! 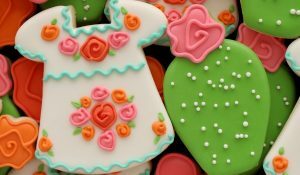 These are the most creative cookies! I love them!! I look so forward to see what you come up with next. Thanks for sharing your creativity. You are truly one of the best!! Oh, they’re darling! 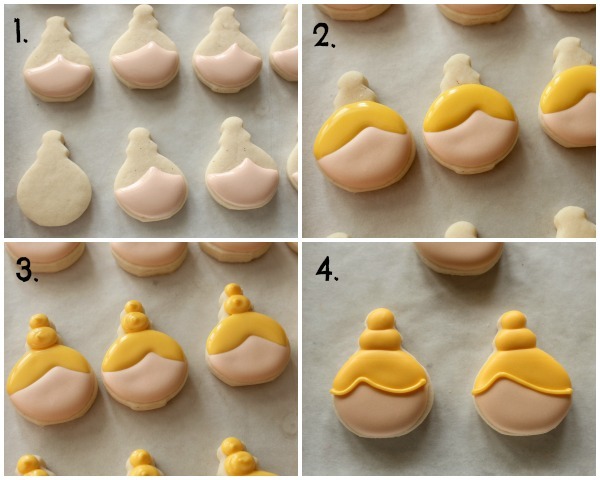 They came out perfectly – so glad for you, and for the rest of us who get your awesome tutorial! You know how I feel about you and these cookies. Simply amazing. How on earth do you keep doing this?! Skulls turned to adorable ballerina heads. Didn’t you just do an astonishing Alice a week ago? You are completely over the top creative genius. Not only that but you show us how and actually make it do-able. You make me glad to be alive during your lifetime! Love these so much. You are just so wonderful!!!! I wish my brain worked like yours. Oh my goodness, these are amazing! My little girl will flip for these! With every post, you raise the bar!! You are a true cookie genius! 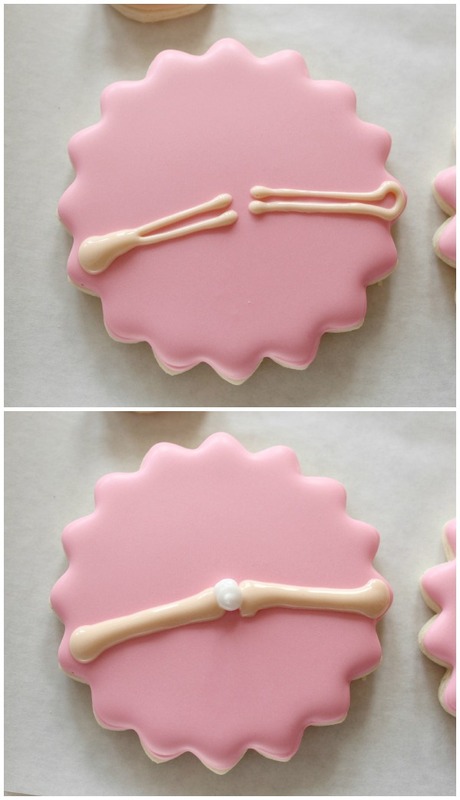 These cookies are so genius! I love that you can customize the ballerina – skin color, hair color, etc. The Angelina Ballerina that’s around these days is her second incarnation. The character is originally based on books written by Katharine Holabird, and the original Angelina is much more rat-like, but just as lovable. 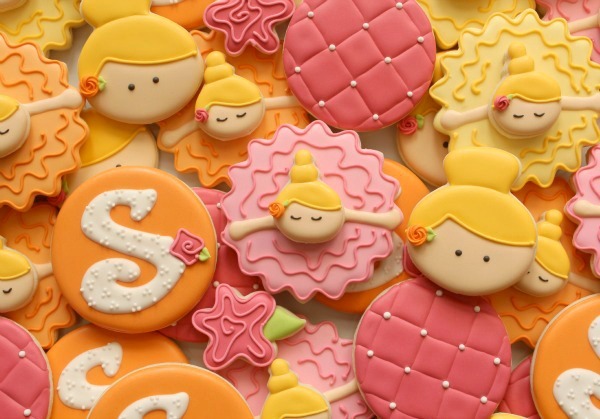 Thanks for sharing such an adorable and creative set of cookies! 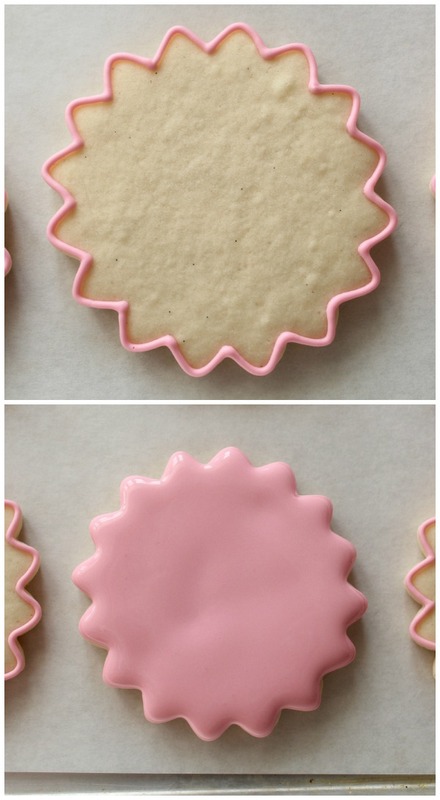 I love how you can take a cookie cutter and turn it into something completely new! These are so adorable. (Paperback) The book is in wonderful coiidtnon and has allowed me to see the true mastery of music that Mr. Richie has. I would recommend this seller shipping was fast and they were able to answer all questions. I ADORE these cookies!! They are PERFECT! I want to find a little girl to make these for. Amazing!!!! This is the first time Katie actually looks her age, insaetd of a middle age frump. I really think she looks much better in this style than in the Faux Posh, “I have to dress to match Tommy’s age” get ups she generally dons. What can I say!! beautiful, such a great idea and another option of the traditional ballerina. You always manage to create such incredible dimension with your cookie, Callye! 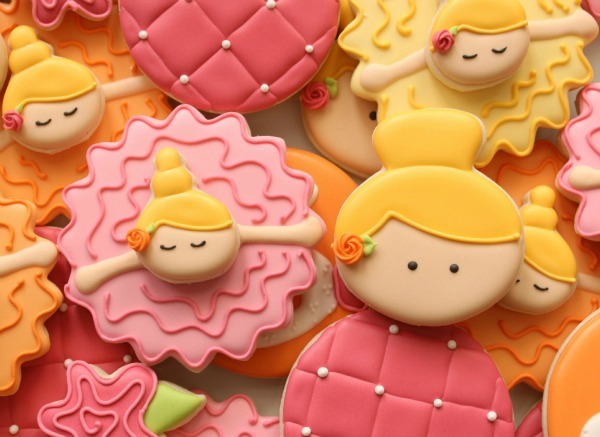 Love, love, love the double-decker ones… such a unique take on ballerina cookies! These are absolutely genius!! You always blow me away! …and now the theme song to Angelina Ballerina will be stuck in my head for the rest of the day. Oh well, it beats the Caillou theme song! The cookies are absolutely darling. Great job! These cookies are soooooo sweet, I adore them. Just when I think you’ve made my favourite cookie you surprise me with something even more spectacular! love them! Is it possible for these to be any cuter? NO! Absolutely adorable and creative! Love these Callye! These are so incredible… I just passed out from excitement!!! These are adorable! 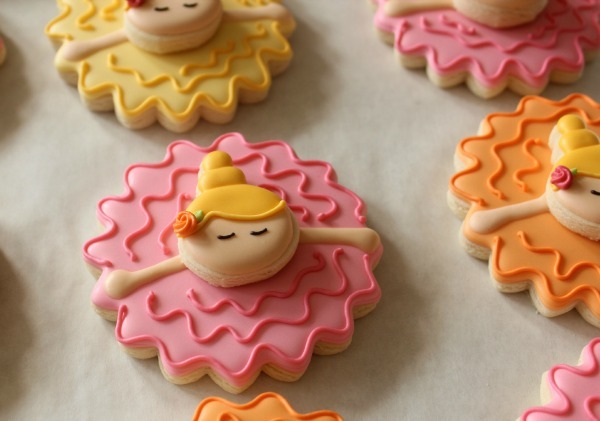 Now I want to know a little ballerina so I can make some! I am Brazilian and I love his work . I would like to learn these ballerina hair flowers. You make nozzle pastry ? I thank you very much for your attention. what a pretty cookies! it looks so amazing. i will make them for my sixter. hope she love it. And Thank you!